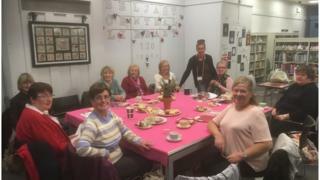 Over buttery scones and sugary cakes, the 'knit and natter' ladies sup their tea and talk-away the morning. It's not a scene you'd expect of a library, a place associated more with the quiet focus of the book-hunter at play than the noisy chattering and laughs of a meet-up. But groups like this in Belfast are now common across the library network in Northern Ireland. More than 38,000 people took part in 4,030 knit and natter groups here in 2017/2018. Thousands are also signing-up for other library-organised sessions like creative writing, tea and newspapers, introduction to iPad, mindful colouring, rhythm and rhyme and jobs clubs. For Patricia Chambers, the natter group at Belfast Central Library is a social lifeline. She's been coming here for several years. "To me, it's like therapy," she tells BBC News NI. "I've laughed all morning and I've had such a good time. It really just gives you a lift. You can share your problems, or you don't have to tell anything, it just lifts you." The group meets every Tuesday, and this week was particularly important as Saturday sees the library celebrate its 130th birthday. To mark the momentous occasion, one of the knit and natter ladies, Roselind Shaw (née McClintock), hand-stitched the facade of the library - a feat which took her five weeks - and presented the completed framed version to top brass. "I did it when I was travelling," she says. "It was my wedding anniversary, and my family had bought us a trip to Geneva and I did it on the plane and in the airport. "My mother was a dress-maker. She used to make beautiful wedding dresses. My grandmother said I was a timewaster for reading Enid Blyton books, so she taught me to embroider and knit when I was seven or eight." Belfast Central Library on Royal Avenue - a Grade A-listed building - officially opened its doors to the public on 13 October 1888. I think people who maybe years ago didn't think the library had anything to offer them, are now crossing our doors." 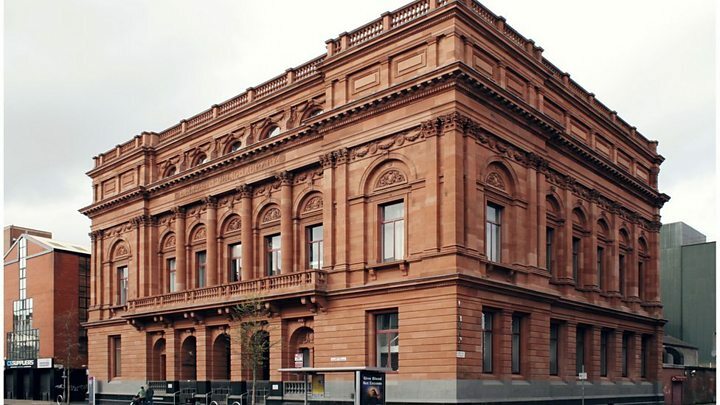 Designed by WH Lynn, the same designers as the new Bank Buildings and built by H&J Martin, the library is one of the few remaining historic buildings in Belfast still used for its original purpose. But groups like knit and natter demonstrate that the library of the 21st century is as much a community centre for those seeking a social outlet, as a quiet refuge for the avid reader. "I think people who maybe years ago didn't think the library had anything to offer them, are now crossing our doors," says branch manager, Allison Milligan. "We have free internet access ... and have a lot of homeless people coming in to use our services. There are people who have health issues that would come in as they find it a safe space to get some company and meet some new people." Allison has worked in libraries for 27 years, and has seen how the service has had to adapt to meet the advancements in technology. E-book and audio book loans, for example, have soared in recent years, more than doubling from 142,147 in 2015, to 308,089 last year. But the librarian's role has also had to evolve, she says. "No longer are we just librarians. We do event planning, we are IT experts, and we are counsellors as well," she says. Allison stresses they're also keen to get out of the library and into the community in an effort to attract those with little or no interest, or knowledge of, their activities. "Here at Central we run an outreach book group in one of our local schools and that's been up and running for about three years now," says Allison. "We've met a variety of lovely kids, most of whom have never actually been in a library before. "Last year a child came in one evening with their parent and the parent said 'aww, they've been at me and at me to come and join the library', and they said they had never set foot in any library ever before, and it was only through this outreach, and us starting up this book group with their child, that actually encouraged the parent to come in." But services cost money, and money is an ever decreasing commodity. The initial Libraries NI budget allocation for 2016/2017 was £27.76m - £1.68m less than the previous year. Additional funding of £225,000 was later secured to avoid a planned reduction in opening hours. But staffing has had to take a hit. There were fourteen voluntary redundancies that year. Libraries NI has implemented a voluntary redundancy programme each year since 2009. That, according to chief executive Jim Hagan, has lead "to a significant loss of staff knowledge and expertise". "This makes it more difficult to undertake development work, to respond quickly and flexibly to initiatives and to maintain the standard and extent of service provision," he said, in the 2016/2017 annual report. 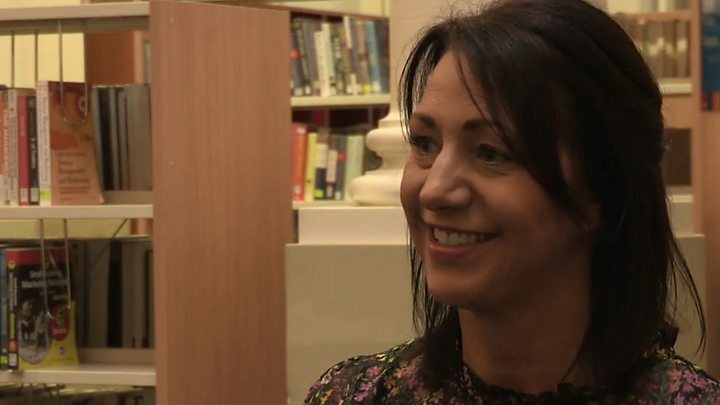 Belfast Central Library is feeling her age, and, according to Libraries NI assistant director Mandy Bryson, could be doing with "a lot of TLC". She says the business case for a £38m redevelopment has been approved, "but funding is a little bit in flux at the moment". That's the capital side, but there are also pressures on current spending. "We have to be very prudent," she says. 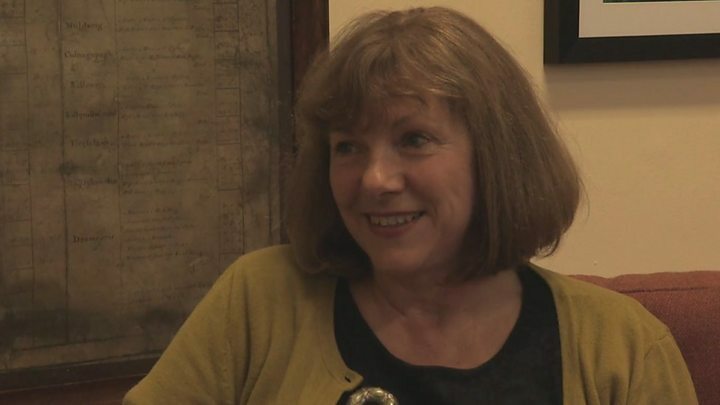 "Our book fund is cut at the moment, and there are only certain things that we can do because we have commitments that are unavoidable which are high staffing costs, the estate that we have to manage, the rents, the rates, all those things that you have to do, so there are very few areas where you can reduce funding, and you can only cut for so long. You really need to keep growing a service." There are very few areas where you can reduce funding, and you can only cut for so long." It's a view shared by Allison, as the library, against a challenging financial background, attempts to position itself for the next 130 years. "The services we offer, they haven't changed, but we now offer more," she says. "The famous quote from CS Lewis, 'There are far, far better things ahead than any we leave behind', that's the way the library service is going. "The whole idea is that we are going to enhance our services rather than do less."